I visited Denver for the first time a few weeks ago and went to the most amazing Cuban Sandwich place. Twice. In two days. If you happen to be in the area, visit Buchi Cafe and order the Aye Conyo…and the avocado salad, and the empanadas with chimichurri, and the platanos and the cafe con leche. Everything we tried was amazing! So when I stumbled upon this Cuban Sandwich Dip recipe from The Family Foodie on Twitter, I knew I had to make it for our Annual Superbowl Party. It was a hit! It was seriously devoured in under 20 minutes. I’ll definitely be making it again for another party. About the recipe: I couldn’t find a honey dijon dressing so I spread a mixture of honey mustard and dijon mustard on top of the meat mixture then added a layer of dill pickles before baking. I chose to serve with Melba toast, but you could scoop this deliciousness up with anything! Next time, I think I’ll add some lime zest to the cream cheese to mimic the key lime mayo on the sandwich at Buchi’s and add layers of pepperoni and hot peppers too. What do you love about Cuban sandwiches? As a self-proclaimed foodie and ingredient junkie, I often get the questions, “What is your favorite item to cook?” or “What dish are you known for?” I always find this a difficult question to answer because I don’t have one favorite thing I like to make. What I made every week one month (like my paella obsession) isn’t necessarily what I’m making every weekend now…more and more roasted vegetables. But something I always circle back to is soup. I love it. I pretty much have it with every meal. We always have a soup prepared in our fridge to have with lunch at home on the weekends or to take in the office during the week. I enjoy cold soups in the hot Georgia summers; like Avocado or Gazpacho; or good old traditional standbys like Cream of Broccoli or French Onion. 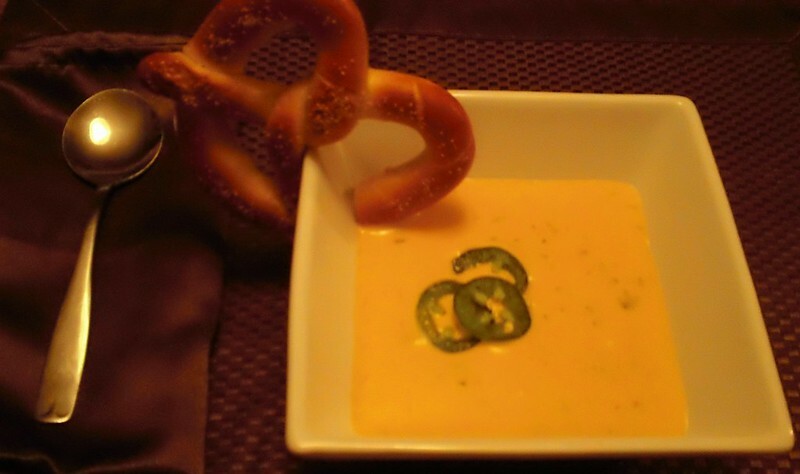 When I think of cold, rainy, winter nights, which we have had our share of lately, I think of a spicy Beer Cheese Soup. It’s warm, comforting, laced with jalapenos and a delicious afternoon snack on rainy afternoons. Especially when you use a hot pretzel for dipping. Yum! Melt butter in a stockpot over medium heat. 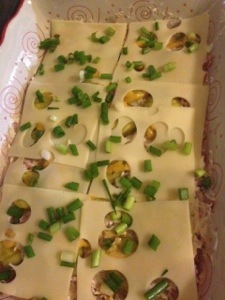 Add chopped onion, celery and garlic. Saute until soft. Add chicken broth, beer and bay leaf. Heat until it comes to a boil. Slowly add cheese while stirring until just boiling and smooth. Add salt, pepper, mustard, jalapenos and Worcestershire sauce. 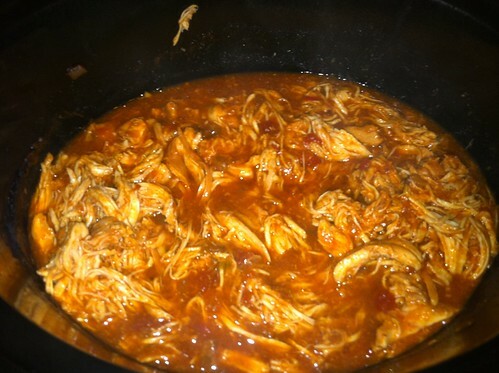 Reduce heat to low and cook until soup has thickened. Garnish with sliced jalapeno and serve with a hot baked pretzel. Of course once you have seen all of the recipes for the day, you’ll not want to miss our #SundaySupper conversation on twitter each Sunday. We tweet throughout the day and share recipes from all over the world. This week we will be sharing out special soup recipes! Our weekly chat starts at 7:00 pm ET and you do not want to miss out on the fun. Join us Around the Family Table this Sunday at 7pm Eastern Time and share your favorite soup, stew, chowder or bisque recipes with us! 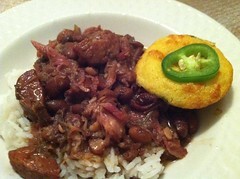 This week’s Sunday Supper topic was to make a dish by our favorite celebrity chef. I don’t know about you, but my husband and I LOVE Emeril’s recipes. They are always so flavorful. They often use one of his spice blends, although this one does not, which really add a punch to the dish they are being used in. I prefer to prepare his spice blends at home, over purchasing them in the store. They taste better and homemade blends tend to have less sodium than the store bought ones. Now deciding which Emeril recipe to share proved to not be too difficult. It happened to be the weekend after Thanksgiving when I was deciding what to make and I had a hamhock to do something with. Well, I had recently been perusing a new local restaurant’s menu and saw they serve Red Beans & Rice on Monday and call it Laundry Night. Apparently, in New Orleans (one my most favorite cities in the world) back in the day, the women of the household would let Red Beans simmer on the stove all day Monday, using the hamhock from Sunday night’s dinner, while they tended to the laundry. Heat the oil in a large saucepan over medium-high heat. Saute the onions, bell peppers, celery, salt, cayenne, black pepper and thyme for about 5 minutes. 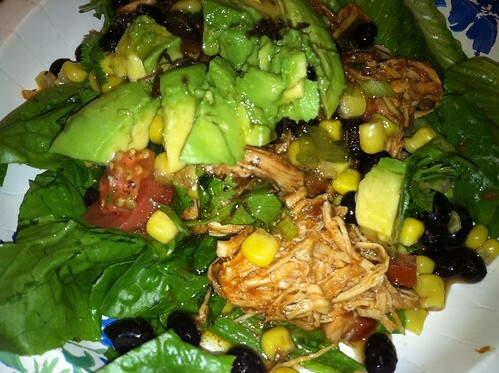 Pour into a crockpot. Add the bay leaves, hamhock, sausage, beans, garlic, and enough water to cover the contents. Cook on low all day (about 6-8 hours). Use a wooden spoon to mash about half of the mixture against the side of the pot before serving. Add more water if it becomes too thick. The mixture should be soupy but not watery. Remove the bay leaves and serve with white rice. Please join on us via Twitter for #SundaySupper on December 2, 2012, throughout the day. In the evening, we will meet at 7 PM EST for our weekly #SundaySupper live chat. All you have to do is follow the #SundaySupper hashtag or you can follow us through TweetChat. In our home, Sunday is a day that we look forward to. 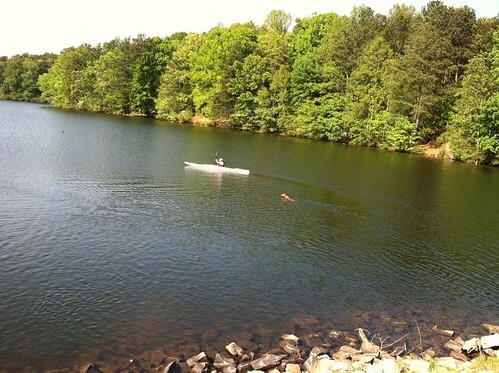 It’s a day we like to pack up our dog, kayak and a few friends and head to Stone Mountain Park for some outdoor fun. Now, the end to a day of play in nature (and often times a weekend with a little too much fun ;o) is always a hearty home cooked meal. Once dinner is placed on the table, we rehash stories from the weekend and share what’s on the horizon for the days ahead. So, when a few weeks, ago my husband requested meatloaf, I knew just the recipe I wanted to try. 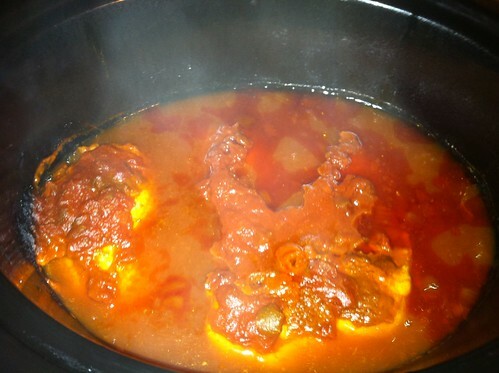 I came across it on one of my favorite recipe sites and had been wanting to prepare it for some time. Although I often think of meatloaf as a cold weather entrée, the blackberry bbq sauce on this one makes it perfect for a summertime meal. Of course I tweaked the original recipe a bit, as I don’t eat veal, I’m obsessed with Vidalia onions, I loooove garlic and I never buy whitebread. I’d also like to add that it’s not only the bbq sauce that makes this recipe special. I have never put milk in my meatloaf before and I am now a firm believer that it’s the secret to THE most moist meat you will ever eat. Give it a try and I’m sure you will agree! 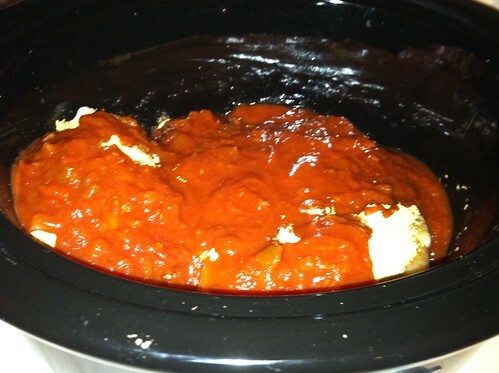 For the sauce: Add all the bbq sauce ingredients to a blender, or food processor, and blend until smooth. Pour into a small saucepan and heat on medium for about 20 minutes (if you have a splatter screen, now is a good time to use it). After 20 minutes, remove from heat and set aside. For the meatloaf: Preheat the oven to 350 degrees. Mix all the meatloaf ingredients together in a bowl until evenly distributed. 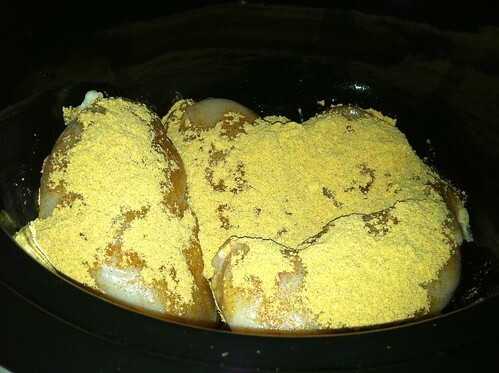 Fill a greased, 5×9 pan with the meat mixture and spread out so it’s even on top. 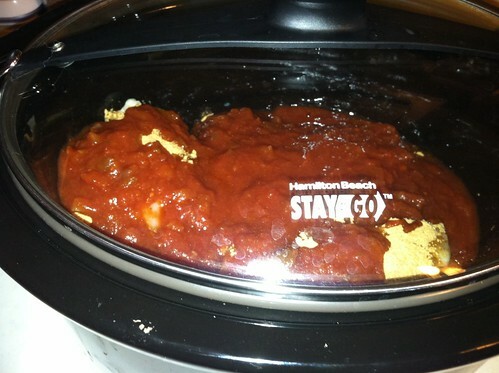 Spread about a half a cup of the bbq sauce on top of the meat and bake for 1 hour and 25 minutes. Be sure to check on the loaf about every 30 minutes and when the sauce begins to turn brown on the top, place aluminum foil over the top to keep the sugars in the bbq sauce from burning. 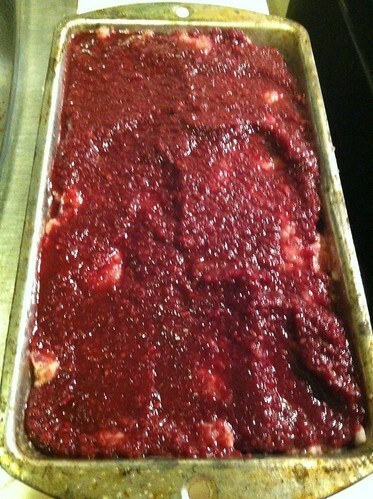 Once the meatloaf is completely cooked, remove from oven and let it sit for 5 minutes before serving. When serving, pour some of the bbq sauce on top of the slices of meatloaf and serve with a couple hearty sides. I went with mashed potatoes and roasted brussel sprouts. 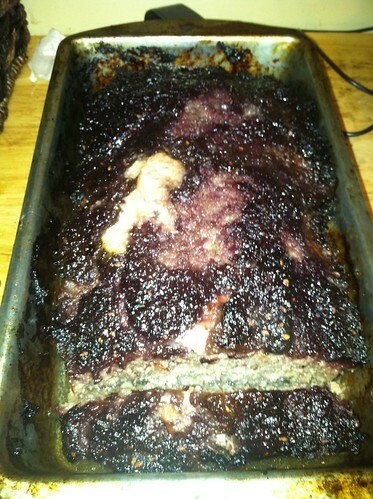 Meatloaf: post-oven. Mmmm, check out that crust. While you’re here, be sure to check out the amazing recipes that my fellow foodies in the #SundaySupper community have put together for today’s topic. They inspire me each week and I’m sure they’ll do the same for you! Now that my schedule has calmed down after planning and executing my dream wedding, it’s time to get back to cooking and blogging! I’m not sure who is more excited, myself, because I’ve missed the kitchen (leading up to the wedding I jumped from one diet to the next, clear liquids, Atkins, etc. so my appliances have been dormant for a bit) or my hubby, because he was on his own and pretty much lived off hot dogs and sandwiches the past three months. Sorry babe! 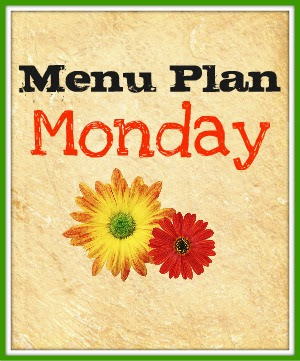 Anywho, I have a few things going on this week, but am excited to put together my first weekly menu plan in awhile! Thursday: Fried Green Tomato Sammies w/ Sweet Potato Fries (I made Fried Green Tomato BLTs last week and they were so good, I thought I’d expand on the basic recipe and add a few more ingredients.) Also, super-excited to use my new mandolin to make home-made fries. Friday: I’m headed to Athens, GA for a Junior League Conference for the weekend, which means I’ll be eating at some of the best restaurants (in my opinion) around! I’m hoping to hit The National, Speakeasy and The Grit…not to mention see some good music, as it’s AthFest weekend. Besides getting back into the swing of menu planning, grocery shopping, cooking and researching new recipes, I’m excited to announce that “The Hand” will be getting a whole new look in the very near future. Stay tuned for updates on the big reveal!